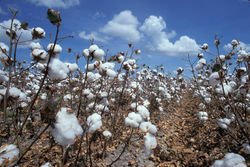 Manufacturing, Services,Trading, Importer and Exporter of technical textiles, home furnishing and baby products. 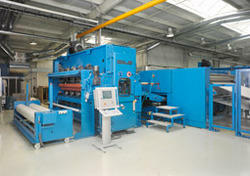 Our company possesses a highly sophisticated infrastructural set-up, equipped with advanced tools and equipment. Globally recognized materials and technologies are used by us in making our range. We customize our range by maintaining consistent quality in them and offer them at genuine prices. Besides, we keep close watch over the technological changes taking place in industry and hence, upgrade our machines and technologies accordingly. With utmost sincerity and punctuality towards all our commitments, we thrive to grow and learn each day. Transparency and integrity are our core values. These values encourage us to ensure a better service every time thereby achieving a satisfied community. Our proficiency and competence in our working field have long garnered trust from among our clients as well from the members of the time’s family. We work double hard to maintain this faith. We are IS0 9001:2015, SA 8000:2008 certified company by BUREAU VERITAS. At Times Fiberfill Pvt. Ltd. we are committed to our core values. Since our inception in 2001, these values have guided us and helped us reach where we are today. Our mission and vision still remain our biggest strengths as we wield these to achieve value creation and becoming an industry benchmark in our category and manufacturing. Being innovative and being creative. Higher productivity and better quality at optimum costs. Adherence to international norms in manufacturing quality. Customer is paramount and manufacturing practices are aligned to meet his demands. Practicing the best business ethics. Respecting the mother nature and thereby, thrive to make the environment a better place to live. 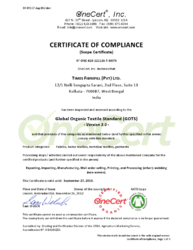 We have also got GOTS certified by Onecert USA for manufacturing 100% organic textiles, 100% organic cotton wadding & technical textile.